People have been speculating what the agency of the future looks like, and this just might be it. Playground NY has gained six new clients in just 3 months and this rapid expansion proves that their unique “startup label” model is just what the world of entrepreneurs has been looking for. Traditionally, startups had to contract out services to a number of siloed agencies and would spend upwards of $100,000 a month to those providers – burning through their investment money far too quickly. Guy Poreh, founder of Playground, recognized these issues and knew that the industry called for a change. His inspiration? The record label business. Fresh, talented musicians have a record label to take care of everything from helping produce the music, contracts, scheduling interviews and performances to developing their brand. They do this with the promise of making that artist rich and famous – all the musician needs to worry about is their talent. By translating this model directly to the startup world and its founders, Playground is solving the issue of growing a young company when it has limited time and resources. From business development to go-to-market-strategy, to creating demand, Poreh and the rest of the Playground team take all of the early marketing and biz dev necessities off the startup’s plate, allowing them to focus on product development. Playground assures that their interests are aligned with the startup through their price structure. Instead of a traditional model where the agency is paid regardless of outcome, Playground receives a percent of revenue generated from performance. While other agencies may not give a client any consideration until they have proven success, Playground wants to grow with their clients right from the start. A true partnership. And it really works. Current clients confirm it! Aquant, who partnered with Playground from day one, is an enterprise AI platform that uses machine learning to master the enterprise’s unique language and utilize it to maximize equipment uptime, saving customers over 1.8 million hours of unplanned downtime. Aquant was built by industry experts and successfully raised $2.6M in seed funding. Playground’s newest clients seeking business development are Datos and Curve. Datos makes patient-generated health data (PGHD) from wearable technology usable for their healthcare providers. Curve provides actionable predictions for businesses using data analytics. 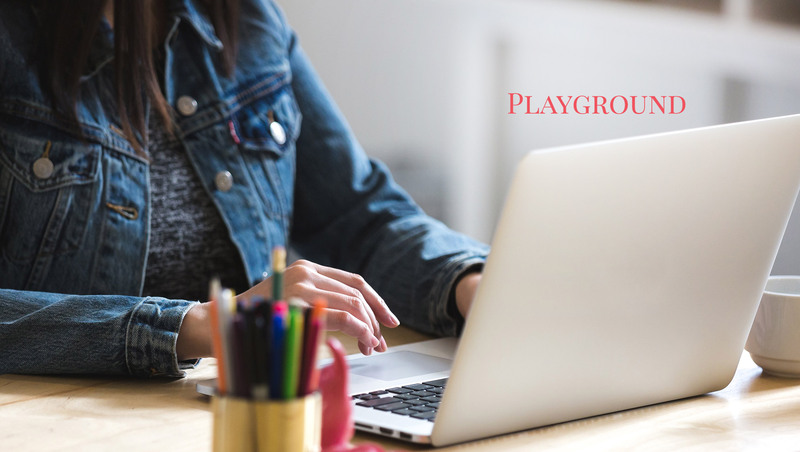 All of Playground’s clients are in the high growth stage and together have raised a combined $35M in funding, pushing them well on their way to being rich and famous: the two goals that Playground is always striving to achieve for clients.